Enter the ultimate arcade racing universe. 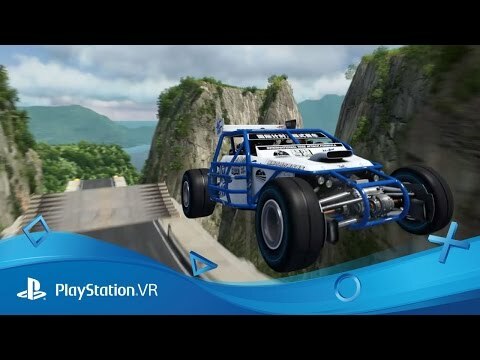 Take your break-neck driving skills to the next level with PlayStation VR. Put your driving skills to the test and reach the best race time possible on over 200 tracks in Trackmania Turbo – completely reworked for PlayStation 4. With five difficulty levels there’s always room to push yourself to get that extra nanosecond – racing in Trackmania® Turbo is easy to learn but hard to master. Compete with friends online or offline using split screen, or team up with a friend to control one car with two controllers. 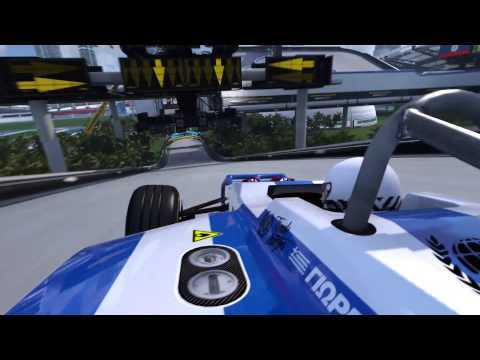 Go beyond the steering wheel – design and build your own tracks and share them with the Trackmania Turbo community. Rollercoaster Lagoon – race on magnetic tracks and defy gravity. International Stadium – master your driving skills to climb the ranks of this worldwide competition. Canyon Grand Drift – drift your way through narrow tracks. Valley Down & Dirty – jump through the hills and countryside using precise air control. Join PlayStation Plus to go head-to-head with friends and rivals in Trackmania Turbo. Get behind the wheel of the ultimate, edge-of-your-seat racing experience.